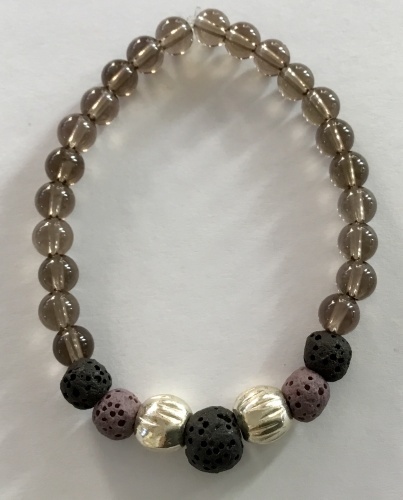 A stretchy bracelet of 6 mm smoky quartz gemstone beads with metal beads and lava beads. Use essential oils or your favorite fragrance on the lava beads to create your own aromatherapy tool. Comes in a decorative bag ready for gifting.